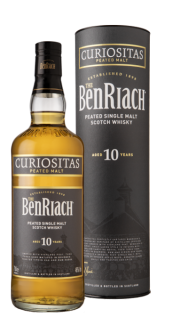 A robust mix of fresh peaty aromas, constructed around a central core of apples and toasted nuts which have been dowsed in wild mountain honey. Sweet concentrated peat flavours dominate from the start. Bold and intense. The peaty heart is united with honey-infused raisins, roasted nuts and a luxurious leather impression. Full-bodied with fantastic length. A real heavyweight, which will impart a lasting impression on the palate.